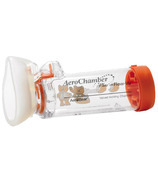 AeroChamber Plus Flow-Vu Anti-Static Valved Holding Chamber (aVHC) is a device available by prescription only for patients who may have difficulty in the coordination and control of using Metered Dose Inhalers effectively. 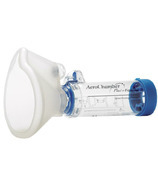 If patients have trouble using Metered Dose Inhalers, the medication that the Metered Dose Inhalers dispense may end up on the tongue, on the back of the throat, or in the air rather than in the lungs. 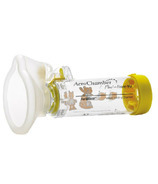 AeroChamber Plus helps Metered Dose Inhaler medications to be inhaled properly.